The decision to drop a player of Mithali Raj's calibre backfired during India's humiliating semi-final loss to England in the World T20 but skipper Harmanpreet Kaur said that she has "no regrets" as it was decision taken keeping team's interests in mind. Indian batting collapsed as they managed only 112 with eight wickets falling for 24 runs as the visibly upset veteran's blank stare sitting in the dug-out said it all. At the toss, Harmanpreet said:"It's not about not selecting Mithali, it's about keeping a winning combination." The decision was questioned by former England captain Nasser Hussain and former Indian Test player Sanjay Manjrekar on air. However the Indian skipper defended her decision. "Whatever we decided, we decided for the team. Sometimes it works, sometimes it doesn't, no regrets. I'm proud of the way my girls played through the tournament," Harmanpreet said at the post-match presentation ceremony. Mithali's strike-rate was always an issue but considering that Taniya Bhatia hasn't been able to acclerate and Veda Krishnamurthy in poor form, the decision to drop a seasoned campaigner boomeranged on India. 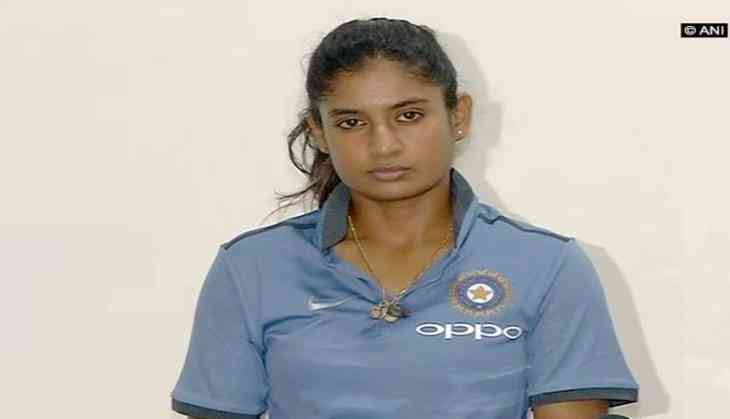 The skipper said that she wanted someone to bat in the middle-order as Mithali's preferred position is opening and she didn't want to tinker with the combination ghat won against Australia. "We did really well against Australia, and that is the reason we just wanted to go with the same combination," she explained at the press conference. "She (Mithali) opens. We need someone after Smriti (Mandhana) and me who can bat for us. Sometimes you click, sometimes it doesn't click." Harmanpreet agreed that the team was at least 30 runs short of what could possibly have been a winning target. "Definitely, it was not enough to tell you, but still I had enough faith that, if we could have bowled better, we could've won the game," said Kaur. "But it's part of the game sometimes. I think if we had 140-150 then definitely we would have won the game." The Indian captain termed it as a learning curve for her young team. "This is a learning for us because we are a young team. Sometimes you have to change your game according to the wicket. England bowled really well, read the wicket really well. It was not an easy total to chase, and our bowlers bowled really well. We stretched the match till the 18th over," Harmanpreet explained. She did admit that mental strength in big games is an issue and her young team needs to garner a bit more of it. "I think we are a young team and we still need to work on our mental strength. If we can work on how to play under pressure, that will change how we play these games." England captain Heather Knight said that she was worried during Powerplay overs when Smriti Mandhana had gone on the offensive but lauded her spinner Kirstie Gordon and Sophie Ecclestone for bringing them back in the game. "The match got away from us a bit in the Powerplay but the spinners bowled really well to bring us back. Kirstie has been outstanding on her first tour. Sophie, young spinner as well, has shown a lot of quality over the last year or so." Knight said that she wasn't concerned about the form of her top players like Tammy Beaumont and Dani Wyatt because conditions for batting was challenging in St Lucia. "I think the conditions have been very tricky in St Lucia and when we've come here, No worries at all about (the form of Beaumont and Wyatt). The final (against Australia) is going to be a great game, hopefully we'll have a great atmosphere and a brilliant game of cricket.